Many Kidblog teachers are getting excited to attend (or present at) the ISTE18 conference hosted in Chicago! ISTE (International Society for Technology in Education) is a nonprofit membership association for educators focused on educational technology. The ISTE conference is “the place where educator-tested strategies come together with proven resources for transforming learning and teaching.” The brightest minds in edtech come together to make connections and continue to network all year long. 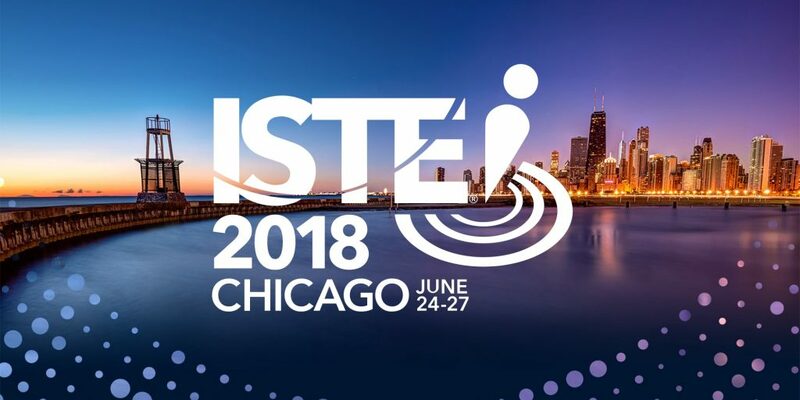 Below we list ISTE18 presentations that will cover relevant blogging topics such as digital citizenship, promoting student’s voice, digital portfolios and more. If you’re #notAtISTE, follow us on Twitter for updates, promos, and photos from fellow Kidblog friends around the world. Learn design thinking by building ideas to bring digital citizenship to your classroom and school. You will be immersed in leading strategies, make ideas tangible through rapid prototyping and interact with educator-designed solutions for teaching better digital citizenship. Watch for Kidblog teacher Kaitlyn Hileman, and catch her after the presentation for an interactive contest (Kidblog-Tasks)! Centers are an ideal way to provide differentiation and independence in the elementary classroom. Certain types of centers, like podcasting or graphic design, also promote student voice through media creation. Learn to empower and showcase students’ voices through six types of dynamic centers. Lesson templates included! Learn about digital portfolios and how to implement these tools for assessment. Educators will explore the different types of digital portfolios, ways to integrate them into instruction and ideas for how to use this data to drive instruction while promoting student ownership and equity. Students share the ways the ARTEC grant has allowed them to engage with technology and the arts to support their learning. Students will share podcast samples, stop-motion videos and multimedia products that they used in the classroom to reflect their learning in all subjects. To keep up with more ISTE presenter information (and get in on our flash sale) follow and watch our social media pages!